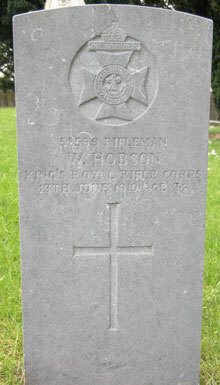 Rifleman W Hobson served with the Kings Royal Rifle Corp. Rifleman W Hobson was the son of Benjamin and Eliza Hobson of Stewartstown. 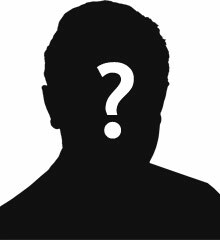 He died on the 13th June 1919 aged 34 He is buried in Donaghendry Church Of Ireland Churchyard, North Street, Stewartstown. 5 War Graves Photographic Project Gravestone photo of W Hobson can be purchased here.